Granny squares, with texture (1) | Hello Craft Lovers! Love it! Great color mix. This is too pretty. 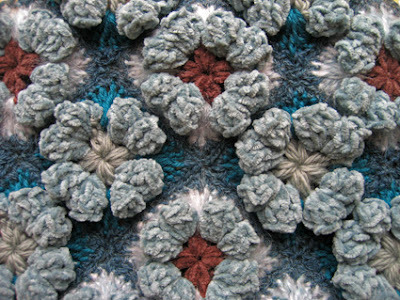 And I love the idea of granny squares with dimension to them–they look downright artistic.